The right clothes will make you a fashionista, but pair 'em with the right shoes and you're a style star! 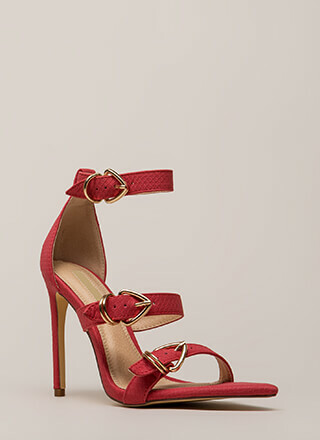 Velvet peep-toe heels feature a cut-out upper with open sides, an ankle strap with an adjustable buckle, a ridged sole, and a chunky heel with a wood grain surface. Pattern placement may vary.